The iPhone 6s display could potentially weigh out your morning coffee if Apple would allow it. A digital scale app that measures pressure from the iPhone 6s’ 3D Touch display has apparently earned a rejection from Apple. 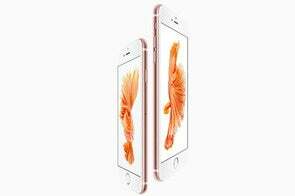 3D Touch is a new feature in the iPhone 6s that lets users perform special actions by pressing harder on the screen. For instance, users can preview an email with moderate pressure, and open up the full message by pressing down more heavily. Officially, 3D Touch is only supposed to act on those two levels of pressure. Still, the display can actually detect much finer differences in pressure, prompting a group app developers to start building a full-blown digital scale. As documented by Ryan McLeod (via The Verge), 3D Touch turns pressure into a numeric value, with 0.00 as the minimum and 1.00 as representing an average touch. Creating the app was a matter of correlating those pressure values to actual weights. 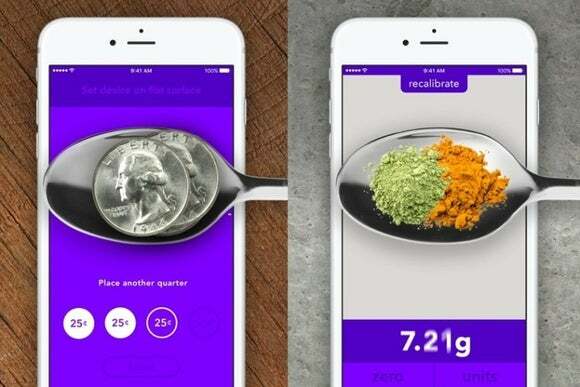 The final app, called Gravity, would let users rest a spoon on the device for capacitive input, calibrate it with a stack of quarters, and then measure. The app would support a maximum weight of about 0.85 pounds. At first, Apple rejected the app for a misleading description, possibly because it was claiming to be a real working scale while existing scale apps tend to be gimmicks at best. But even after Gravity’s developers amended their description, Apple rejected the app by saying the concept of a scale was inappropriate. In other words, Apple just doesn’t want app makers to use 3D Touch this way. McLeod speculates on a few possible reasons for the rejection: It could be that placing foreign objects (or liquids) on the display creates too much of a damage risk, or that measuring exact pressure is not what Apple intended for its API. It’s also possible that using a spoon to weigh out a half-pound of something could have some drug connotations, which Apple would rather avoid. The story behind the story: Gravity goes down as another example of another app that pushes new iOS APIs a little too far for Apple’s liking. A similar scenario played out last year with iOS 8, as Apple rejected several apps for the behavior of their Notification Center widgets. Apple does sometimes relent in these cases, so there’s hope for an app like Gravity in the long run, but the company’s default response is to reject first and reevaluate later. For now, coffee aficionados should keep their proper digital scales at the ready.